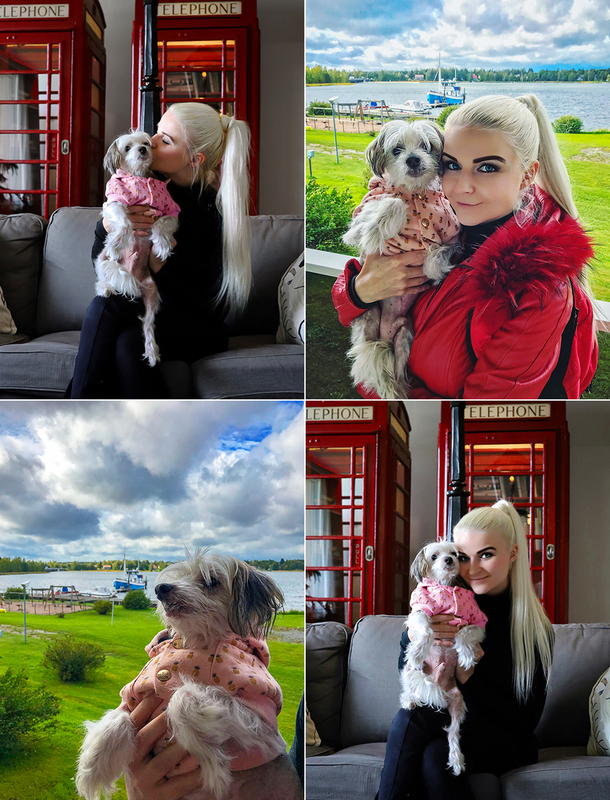 If you follow me on Instagram >> you already know my week started by a business trip in Ekenäs with my babbie BenBen. I am still feeling very blessed and lucky he was invited as well, it made my traveling to be much more comfortable. 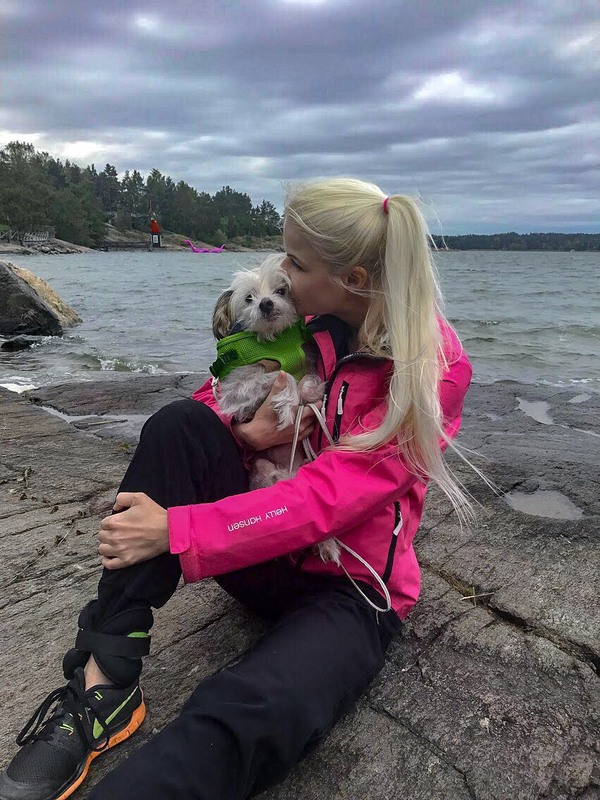 He loves to stay with his nanny but especially now when he has been scared of thunder and it’s been thundering in Finland so often, I felt more stressless we traveled together. At first I need it is so crazy (and funny) only 80 miles from the city BenBen I live, is a state where people more speak Swedish than Finnish. 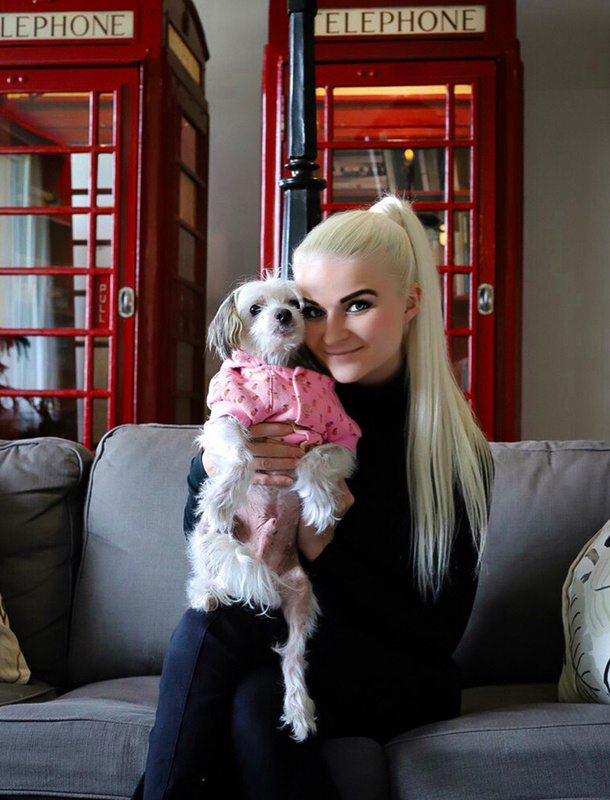 Do I speak Swedish? Of course I do! My pronunciation is perfect but grammar instead.. oh boy, it is so bad! Can you believe till 20 year-old my Swedish was much better than my English. Hahaha. Yep, this means I didn’t speak English at all – it was totally too hard to learn. Until I decided I will. And I did! On my own without any courses, without any help, just myself. Sorry, once again I prattle. Anyway, the hotel we stayed surprised us up many lovely ways! It didn’t look so nice from outside and lobby was pretty scary, but when the receptionist came to us and wished us welcome I felt very comfortable. She asked us to wait until our room was done, we were a bit early, so we found a nice decorated space with most comfortable couches and took few pictures while waiting. 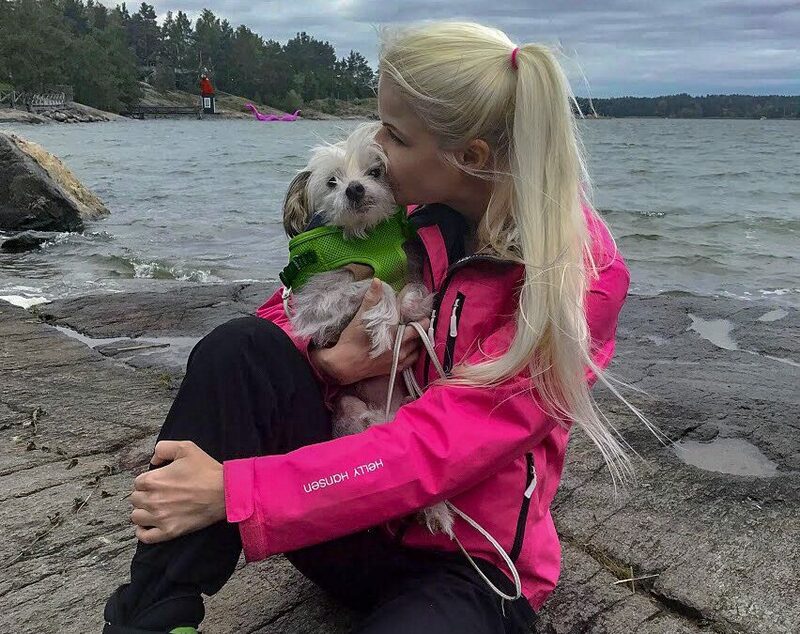 Jos seurailet minua Instagramissa >> niin tiedätkin jo, että tällä kertaa tämä viikko alkoi Tammisaaressa työmatkalla. Tästä työmatkasta teki ihan hurjan ihanan se, että BenBen oli tervetullut matkalle mukaan. Ben tekee aina matkan kuin matkan taittamisesta mahtavaa; mikään ei yksinkertaisesti voi mennä pieleen, kun tuo pieni hampaaton ihme taikoo sateenkaaria ympärilleen kuin sarjakuvahahmo. Matkalle lähdettiin siis super hyvällä fiiliksellä, koukkasimme Helsingin kautta Fiskarsiin ja Fiskarsista määränpäähän. Matkalla nähtiin peuravauvoja ja upeita maisemia, tätä reissua en unohda koskaan! Hotellimme yllätti minut ihanasti monella tapaa: kolkko rakennus kera rapistuneen julkisivun ja kellarimaisen aulan nosti karvat pystyyn, mitä lämpimin vastaanotto ja pienin yksityskohdin viimeistelty huone kuitenkin käänsi mielen viisarit positiivisen puolelle salamannopeasti. Room was very old fashioned but there were lovely details that showed the hotel owner really cares about visitor, this is what I appreciate a lot. I don’t need luxury, all I wish is a clean room and friendly service. Sometime this kind of things are the biggest pampering for soul and mind. The most lovely thing after lovely service was the view we had: the ocean and little boat named “Kennedy”. We just fell in love with it! Huoneemme oli erityisen siisti ja viihtyisä, maalaishenkiset liinavaatteet ja tekstiilit toivat mukavaa vaihtelua tyypilliseen hotellisisustukseen. Huoneestamme oli upea näkymä merelle, ja rannassa keinui mitä söpöin paatti nimeltä Kennedy. Olin ihan myyty, tänne tahtoisin tulla uudelleen vapaa-ajalla! Very quickly we visited at my client in the evening for preparing the meeting tomorrow morning. After that I went to shop some food and BenBen had a little nap while I was hunting some dinner to him too. It was been raining all day long but when we got back to hotel the weather changed and pampered us with most beautiful sunset. Illansuussa piipahdin nopeasti asiakkaani luona Tammisaaren keskustassa valmistellakseni seuraavan aamun tapaamista. Tämän jälkeen kävin hakemassa ruokaa ja BenBen odotteli autossa kunnes palasin “metsästysreissulta”. Päivä oli ollut sateinen aamusta iltaan asti, mutta palatessamme hotellille pilvet kaikkosivat, ja ilta soi meille mitä kauneimmat auringonlaskun. We spent such a lovely evening by having a sauna bath, enjoying snacks and watching movies in bed. BenBen had his own snack box filled with puppy size meatballs and natural chicken breast. Vietimme ihanan illan saunoen ja napostellen iltapalaa peiton alla leffoja katsellen. Perinteinen TV Netflixin sijaan tuntui äkkiä hurjan hauskalta, tajusin äkkiä, etten enää koskaan katso TV:tä kotona. Ben oli innoissaan omasta iltapalastaan: pennun suuhun sopivia lihapullia ja maustamatonta kananrintaa, aika huippua! Next day we woke up very early for having a lovely breakfast the hotel served us. It was such a great start for a busy and hard day filled with lots of traveling and return trip back home after all. Wednesday instead was very emotional day to me and BenBen. 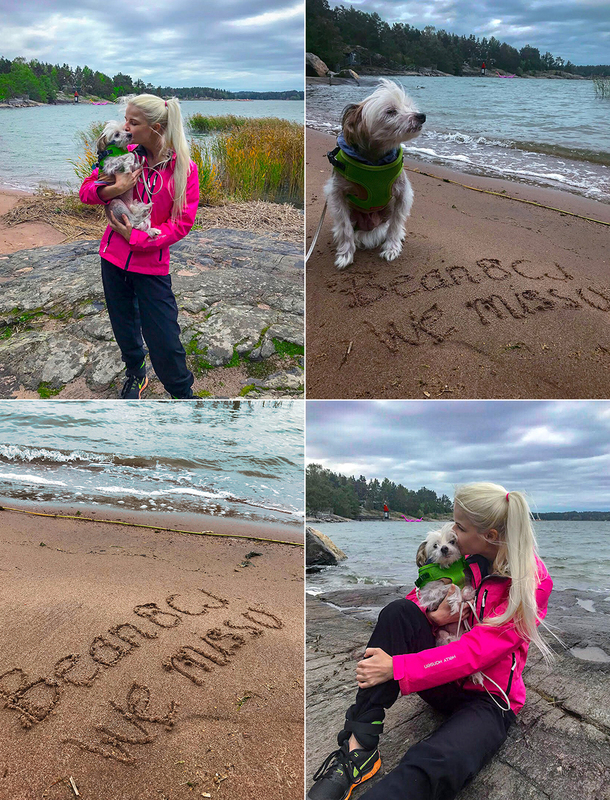 We spent all day working in Naantali, yes, in the city we used to spent lots of time with BenBen’s passed brothers Bean and CJ. 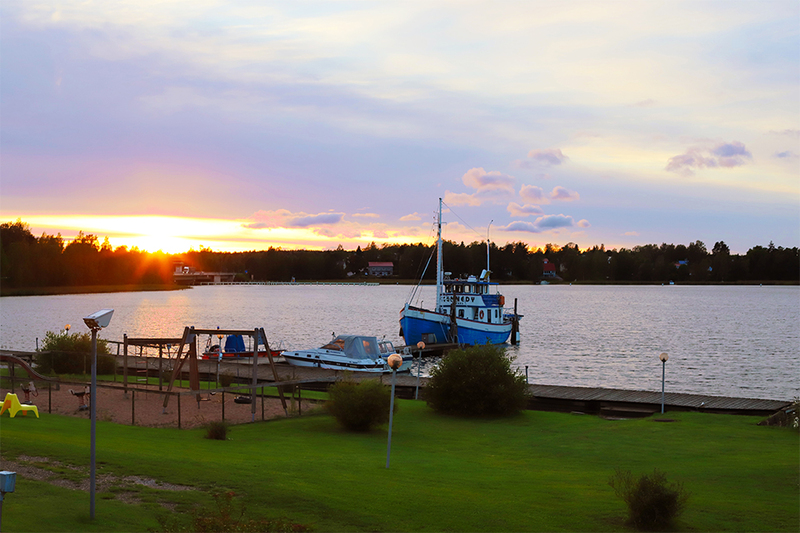 Naantali is very beautiful around the year, but after summer it ges very cold. I still love it and I want to take BenBen there as often as possible. By the ocean here I feel our little family is somehow all together again. And the way BenBen enjoys of it as well, I think he feels the same way as I do. On Wednesday after work I took my babbie to island called Kailon Saari, it’s the island where Moomin World located. Bean loved Moomins as much as I do, and BenBen loves Moomins today as much as his brother did. So I felt this was the best place to take a moment for thinking about passed family members and leaving a message on the sand for missed and so loved fur kids. Seuraavana aamuna heräsimme aikaisin aamiaiselle, mikä oli muuten todella nam nam: monipuolinen kattaus tuoretta ja terveellistä. Hotelliaamiainen oli mainio startti kiireiselle ja raskaalle päivälle, joka huipentui kotimatkaan. Keskiviikko puolestaan oli täynnä tunnelatausta. Päivä kului Naantalissa, joka tuo aina mieleen muistot Beanista ja Calvinista. Siispä päivän päätteeksi tuntui hyvältä viedä BenBen Kailon Saareen kävelylle ja muistelemaan velipoikia. It was good to feel the stormy wind on my skin and hair, it was like a purifying treatment to my soul and heart. With calm mind and feeling the love warming my heart we left the island behind. We finished the perfect moment by enjoying some tea and snack at marina. BenBen loves Karelian pasties so I made sure he got one. Very perfect Wednesday we had. Hetki saaressa Bentleyn kanssa oli kuin puhdistava hoito sielulle ja sydämelle. Rauhallisin mielin ja sydän täynnä rakkautta palasimme mantereelle nauttimaan kupposet kuumaa, sekä tietysti Benin lempparit eli karjalanpiirakat. Thursday was busy day at work again, and when I finished the regular day at 6PM I started to knit my charity clothing line >>. No matter the busy week we still had some time to keep an eye on the environment and hidden details of Earth. It’s September now and all flowers should have faded away already. But no, there are some flowers living their life like it was June again! I feel this colorful picture is the great way to end this post of our week. Wish you all have a lovely, colorful weekend! Torstai oli jälleen kiireinen päivä, kun lopetin puurtamisen kuuden maissa illalla, otin käteeni puikot ja aloin neuloa hyväntekeväisyys mallistoamme >>. Kiireestä ja touhusta huolimatta ehdimme kuitenkin huomata elämän ja luonnon ihmeitä, sekä kätkettyjä yksityiskohtia ympärillämme. On syyskuu, mutta Naantalissa kukat kukkivat silti kuin kesäkuussa. Tähän värikkääseen kuvaan onkin paras päättää viikon kuulumiset. Ihanaa viikonloppua, pitäkää huolta itsestänne ja toisistanne!